Supercuts actually are having 15 events across the country, each with around 5 bloggers. Sadly only myself and partner in crime Carpe Diem Emmie could make it to the Leicester event, so our squad was lacking in members. Some of the other events looked amazing however, with the girls even getting their hair cut and having Shellac nails! I started off by having some curls put in my hair by the lovely Bryony. It was a really hot day and I decided to air-dry my hair, so I was glad to have someone to sort it out. I do own a curling wand, but I find it a little narrow for my now pretty long hair, so I don't curl my hair all that often. 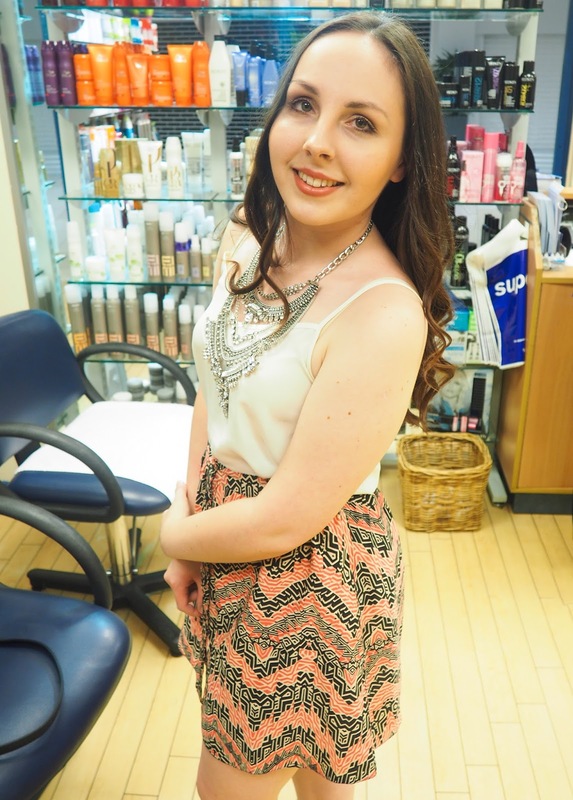 Bryony used GHD straighteners to add some loose boho waves, and then brushed them through for a soft look. I absolutely loved the final effect, and it was probably the nicest anyone had ever styled my hair. I desperately want to recreate this myself, and I think I'm now sold on picking up some GHDs! Then I went over to the beauty station where one of the other lovely ladies gave some love to my nails. She filed them and gave me a lovely hand massage with some gorgeously scented oil that smelt like cherry bakewells. Much like my hair, I'm a little bit clueless and lazy with my nails. I forget to paint them/file them/do all the things you're supposed to do, so after talking to the girls, I was really warming to the idea of getting gel nails. The main reason that we were at Supercuts was to celebrate their latest campaign in collaboration with TIGI. They are offering the chance for one "squad" to stay overnight in London for an exclusive photoshoot at TIGI's iconic studio in Battersea, and become the next face of the brand. 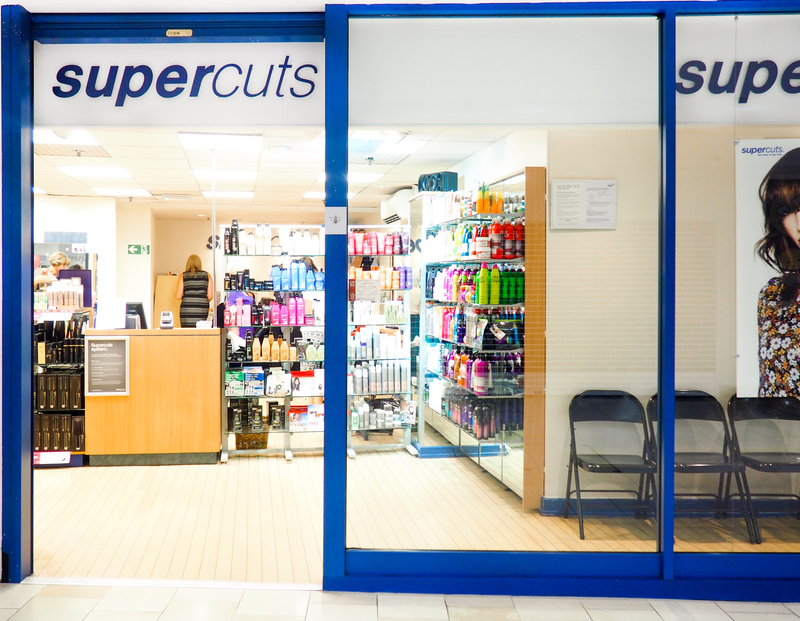 You'll have your hair and makeup done by the Supercuts style team, as well as take home an amazing goodie bag. What could be better? If you think your group of friends is #SquadGoals (up to 6 people), you need to post a pic before 30th September to either Facebook, Instagram or Twitter, tagging @SupercutsUK and using the hashtag #SquadGoals. You can find out more info here. 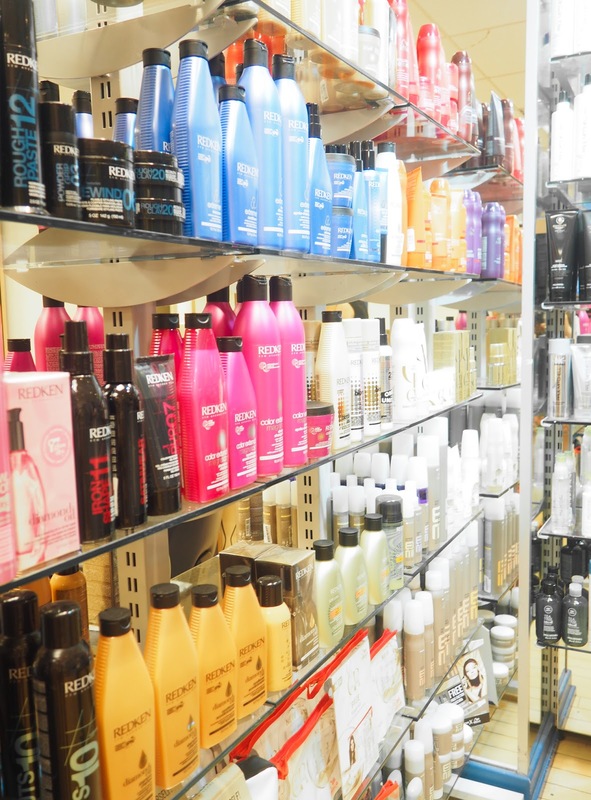 Supercuts use an impressive range of products, from ranges like personal favourite, Redken, as well as Wella Professional, and TIGI. We were kindly gifted some products from the Bed Head by TIGI volume range. I had never tried any of the Bed Head products before, but the fun, hot pink packaging had always caught my eye! The first product is the Fully Loaded Massive Volume Shampoo* (£12.95) and the first thing I think anyone would notice about this range is the yummy scent, it smells like a cross between jelly beans and rhubarb and custard sweets! This is formulated with Uploader technology to lift your hair from the roots. Next is the Fully Loaded Volumising Conditioning Jelly* (£14.95). This is a really interesting product as it has a lightweight gel texture. It doesn't feel like it is doing anything to your hair until you wash it out, but I was pleasantly surprised to find that it left my hair soft and shiny. I have quite fine hair so this lightweight texture is perfect for me to use without weighing my hair down, but I suspect this may not be enough for you if your hair is dry. Moving onto the styling products, the first of the two is the Big Head Volume Boosting Foam* (£16.95). This is your classic mousse that you would distribute through the hair pre-blow dry, however this one doesn't leave your hair feeling crispy or heavy. Finally we have the Full of It Volume Boosting Spray* (£14.50), a HUGE hairspray that encourages bounce in the hair and keeps your style staying beautiful all night. I'm really enjoying using this range, and it's making me want to try out more of the Bed Head range! We had a really lovely time at the Supercuts #SquadGoals event, and the girls were so approachable and friendly. They had even put on an impressive spread of nibbles for us, something that was warmly welcomed after a hasty dinner. 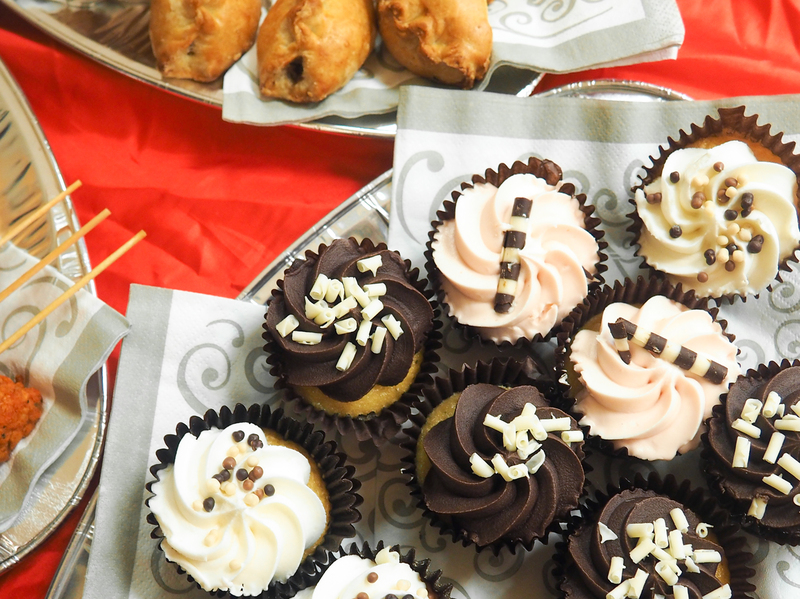 I was particularly keen on the Patisserie Valerie cupcakes, and I even managed to take a few home to enjoy with a cuppa. I'd definitely consider going to Supercuts in the future, as it is so affordable, especially if you just want a quick trim. I really resent having to spend £30+ to get my split ends off! It would be great to pop in and get your hair done before an event too, especially seeing as you don't have to make an appointment! Have you ever been to Supercuts? *Thanks to the Supercuts team for inviting me to this event.